What can be better than CA Hwy 36 ?? 0700 hrs in Red Bluff, perfect time to pull the left rear brake disc while searching for an annoying and increasing noise. Found nothing and concluded it was neither in the E-brake components, or likely to fix itself. Therefore, press-on, whatever else? Tracey enjoys a rare “told you so” moment after exploration in the RR wheel discovers nothing, LR exhibits a funny noise from the wheel bearing or e-brake…… As Tracey accurately detected from the drivers seat. Never fail to proceed, Rally mantra, we will investigate further, later. It’s Summer, so it’s likely to be this hot. Driving classics from the 60′s requires the same comfort strategy as the 60′s. Windows down, lots of hydration and occasional stops under shade trees. A Glorious summer day on Northern CA time to hit the road with our purple 2013 Melee plates. Great variety of cars as usual. 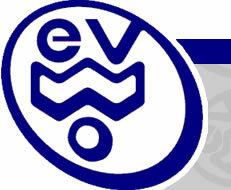 You are currently browsing the Welcome to Windrush Evolutions – WEVO Blog weblog archives for September, 2013.